Crafted of sterling silver, this ornament is the ideal way to show off your style and commitment. The clean ring showcases 1/2 carat of impressive sapphire stones. 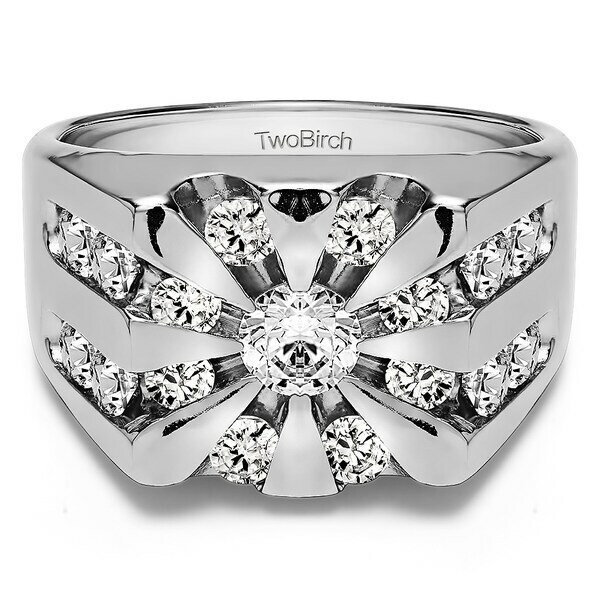 "Hi im interested in your Sterling Silver Men's 1/2ct TGW White Sapphire Round Channel-set Sunburst Ring, is that the only colour stones you put in this ring, would love green ones, not bothered if they are lab created, if yes could you send me a quote and i a pic if with green ones in please"
Unfortunately, we currently do not offer this ring with green stone options. We apologize for the inconvenience.